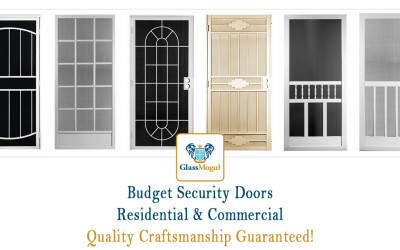 At GlassMogul we provide security door installation services that includes all types and sizes for both residential and commercial applications. Our security doors include standard The Home Depot and Lowe’s brands plus fully custom-built steel, wrought iron, and alloy options. We offer ultra-premium designs that are available in more than 20 different finishes. Help protect your family and property by contacting one of our friendly sales representatives today. We guarantee to perform your work professionally, on time, and within the budget agreed upon. We install and replace Arcat, First Impression Security Doors, Gatehouse, Grisham, Lowe’s, Meshtec, The Home Depot, Titan Security Doors, and Unique Home Designs security doors to name a few. We perform work on all brands and styles, regardless of how old they are. 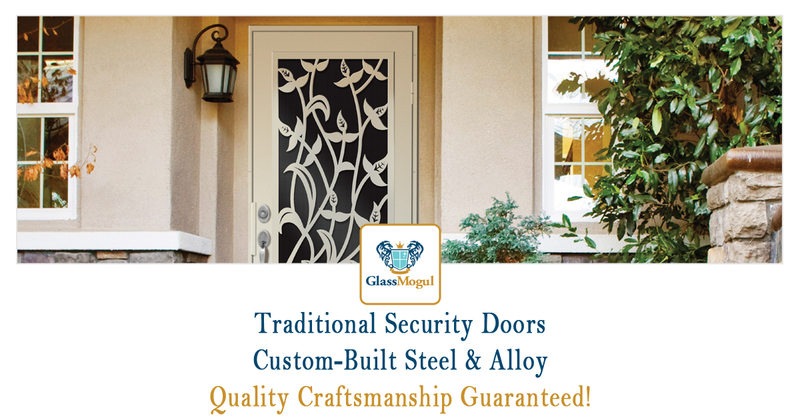 GlassMogul replaces all residential and commercial security door types, including architectural, custom-built, double, entry, exterior, French door, gate, glass, home, iron, metal, outswing, patio, safety, screen, sliding, steel, and wrought iron entries. Check Out More of Our Security Door Blog Posts! 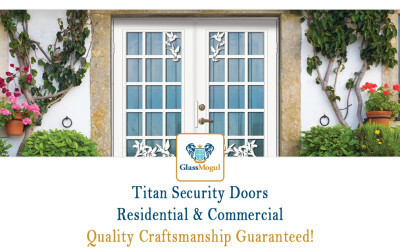 Titan’s premium security doors offer the highest levels of protection for your home and family. The following collection of Titan security gates are ideal for all residential and commercial applications. Not only will they add to your home’s curb appeal, they’ll also help to increase your property value. If you’d like to receive a free estimate to have a new security door installed at your home or place of business, please call (480) 463-4333 or click here to send us a message. If you’re looking for an inexpensive solution for your security doors, you’re in luck as we’ve gathered a collection of the most affordable options on the market. If you’d like to receive a free estimate to have a new security door installed at your home or place of business, please call (480) 463-4333 or click here to send us a message.